With the commercial launch of Jio still some time away, Jio fanboys are getting impatient, but the delay Jio says is on account of network optimisation on a Pan India scale. 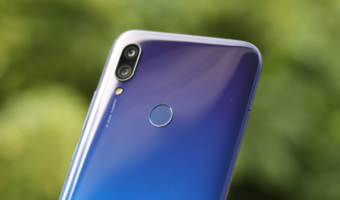 There are a lot of developments happening under the hood which most of us here are unaware of, so we at TelecomTalk thought that while you wait for the full fledged launch we could give you a little taste of what’s in store for you at Jio. Jio connected homes is a concept where everything ranging from your home wired broadband connection, wi-fi network to your Live TV viewing, on demand movies on your big LED TV to music streaming over the air are all on the Jio superfast 100 Mbps connection. Jio has designed it all to work seamlessly and get integrated into your lifestyle. 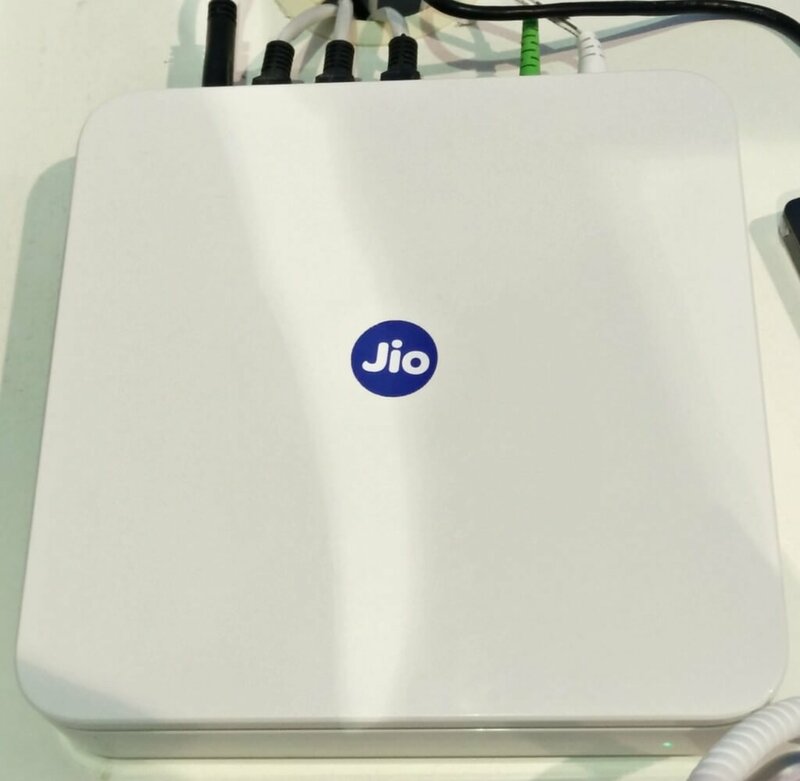 Below is a pic of the Jio fiber optic 100 Mbps router. The Green cord that you see attached to the back of the router is the fiber optic cable and the black and grey ones are the regular Ethernet cords. 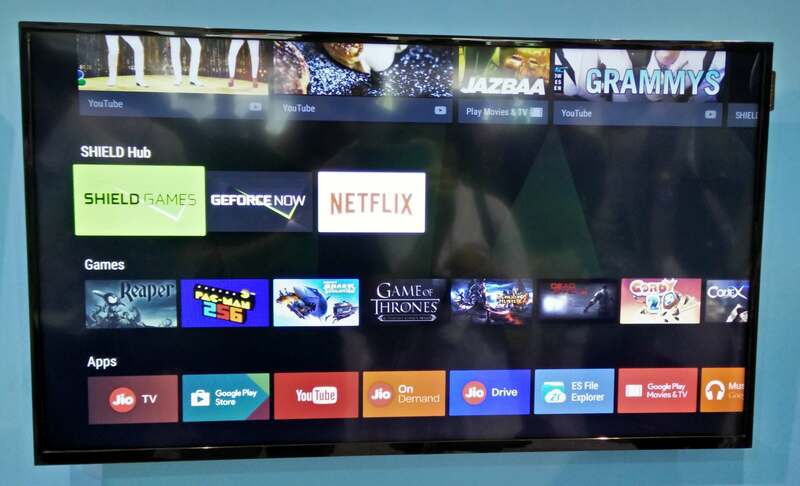 The other piece of equipment that really converts your regular LED TV into a smart TV is the android based Jio set top box. Below is a pic of the set top box along with a gaming controller which connects to it wirelessly. 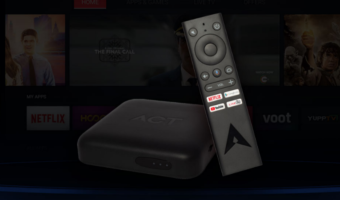 The set top box is manufactured by Nvidia and provides functionality of Live HD TV viewing, video on demand containing hundreds of movie titles, catch up TV with recorded TV shows up to 7 days back and hundreds of interactive Games. 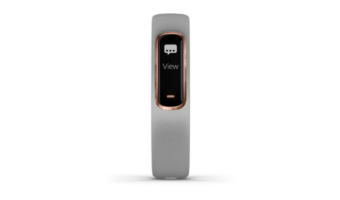 The Remote which comes with the STB (Pic not included) does not have number keys to switch channels like traditional STB remotes, but works on voice recognition technology and the user can say the channel name and start viewing that channel, same also applies to TV show titles. Below is a pic of what the TV screen looks like when connected to the STB. 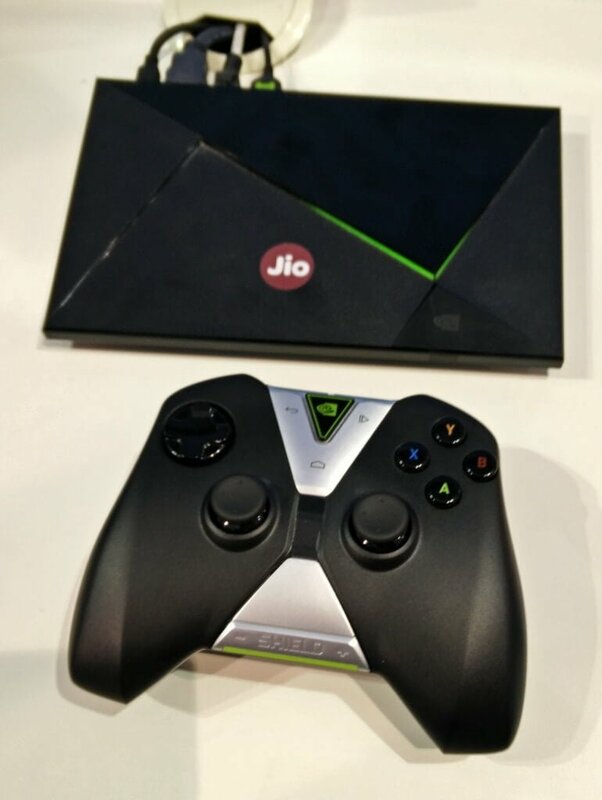 As you can see, since the STB is android based there is a support for a wide array of apps like Jio TV, Jio on demand, Jio drive and also the pre bundled Google suite of apps like the play store, Google music, Google movies etc and games like Reaper, Pac Man, Game of thrones, etc. There is also support for external video streaming apps like the world famous Netflix on the Jio STB platform. 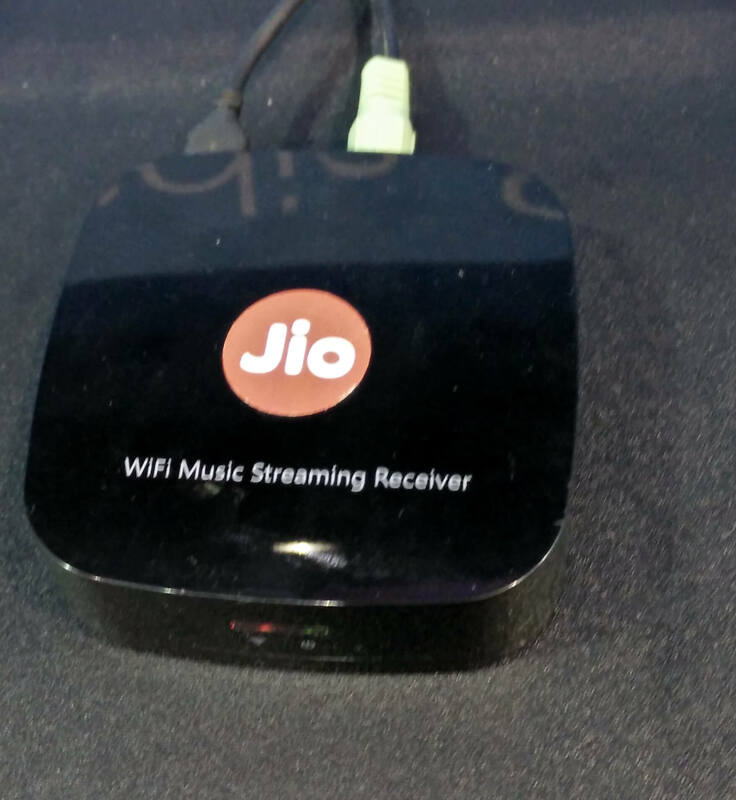 Below is a pic of the Jio wireless music streaming device. This device is similar to the Chromecast audio device launched by Google last year and allows users to wirelessly stream their music from popular music streaming apps or locally from their phones on their surround sound home theatre systems connected to this device. This creates a more immersive Music listening experience. So thats a little sneak peak inside the world of Jio for now. Keep reading TelecomTalk and we assure you more exciting News and inside coverage before anyone else does. Jio launch confirmed on 28th Dec 2016.